Our Leaders Are on Vacation? “The world is falling apart, and our leaders are on vacation,” a friend of mine said with disgust and frustration. Financial and economic indicators plunged precipitously that day, and we were searching for answers. Where have all the leaders gone, we asked. Shouldn’t our leaders be on call to help sort out what is happening? And of course it was not just economics we worry about. There was also the ugly vandalism in the streets of London, foreshadowed earlier by those in Athens. There were some 60 cars torched in four nights across Berlin last week. Violence escalated on the borders of Israel, the Syrian military continued to gun down its citizens, and the brutal strongman in Libya refused to step off the stage. It is foolish to try to find scapegoats for all of this in our leaders, and yet what we need at this very moment are wise and thoughtful leaders. The world seems so utterly complex and troubled at the moment. Is any leader up to the task? Is there any model of leadership commensurate to the challenge? Are we training the next generation of leaders in the right way? As I was thinking about these questions, I happened to see some new thinking by a hero of mine, the great scholar, teacher, and writer N.T. Wright. 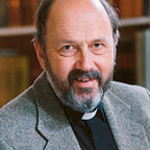 As most people know by now, Wright recently left his position as Anglican Bishop of Durham in England to become Professor of New Testament and Early Christianity at the University of St. Andrews in Scotland. And on June 26, 2011, Wright delivered a stunning sermon as part of the 600th anniversary of St. Andrews. He talks about how the university, building on its Christian foundations, ought to bring into the world an “upside-down vision of human flourishing.” He talks about how we should be preparing the next generation to lead the world. The university of our day, says Wright, should be “looking again at this holistic vision of what it means to be human, what it means to be a University. Life isn’t going to get any easier in Scotland, in Europe, in the world as a whole, in the next few decades. We urgently need a fresh supply of people with a vision to excel, not for their own pride or pay, but for what has to be done in the world.” Yes, indeed. I think this is exactly the message we are trying to articulate and live out at Seattle Pacific University. It is this “new thing,” told “in new and appropriate ways,” that we yearn for from our leaders for our day. It is this humble search for the truth that should inform the work of our universities and the new paradigm for leadership.